Due to construction, North Boulder Park is temporarily not being groomed. The BNC is responsible for grooming by agreement with the City of Boulder. Due to construction, the BNC offered to move its grooming equipment to CU South. Overlapping construction and grooming operations would be prohibitively complicated. While the current construction area does not intersect with where we would be grooming — the construction area does block our staging area — making any grooming impossible to do on a regular basis during construction. As such, our plan is to wait until construction is complete. The city is currently forecasting that the construction will be completed by the end of February, weather permitting. The BNC will groom CU South for the time being, until a transition back to North Boulder Park can be arranged. 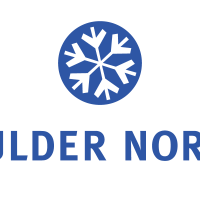 Follow @BNClub and/or https://www.facebook.com/BoulderNordicClub for real-time information on BNC grooming operations. Please consider helping. The BNC’s grooming operations are entirely volunteer, funded by members and sponsors, and performed in collaboration with the City of Boulder and the University of Colorado – Boulder. Thank these partner groups if you can and give money for a second grooming rig at http://www.razoo.com/story/Boulder-Nordic-Club. And, thank you for your patience and support of the BNC.